The schedule was to have aCappella back in the water by 1:30 pm Friday - high tide. We all know the saying about boating and schedules. But I'll be darned if they didn't release the slings at precisely 1:30 pm Friday afternoon. She floated out of the hoist and we were back "home" in the Marina at Ortega Landing slip before 2:00. We'd hoped to make this entry before now but we spent the weekend putting things back together. At least, as back together as we could given there's still more electronics installation work to be done. Dyna and Dylan are thrilled to be back onboard and more or less back on their schedule. We are still living in the midst of boxes and dust and workman. But the kids have found their place on the settee and this afternoon Dylan has a playdate with Abbie. What could be better? 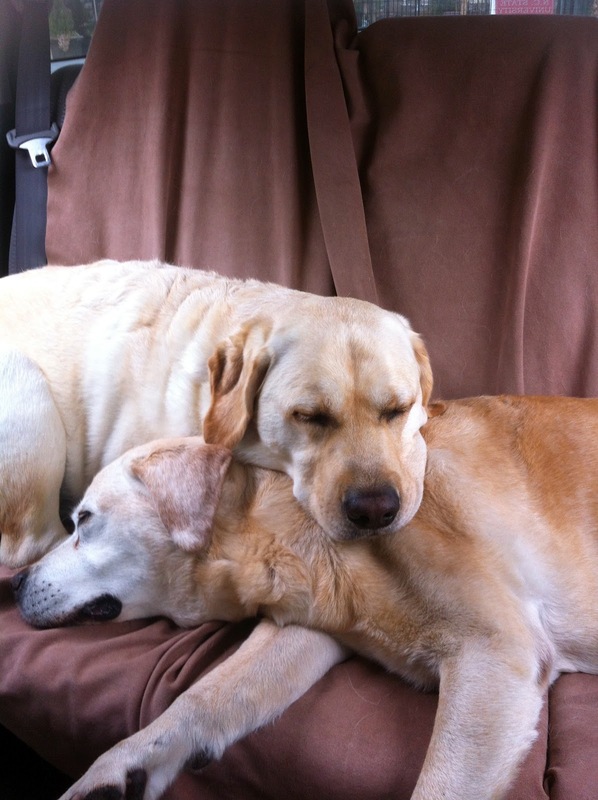 It is a tough few weeks for Dyna and Dylan. Last week the boat was swarmed by electronics guys starting the work on our helm refit. Ceilings were exposed, wires hung down, boxes piled up, and furniture was rearranged. 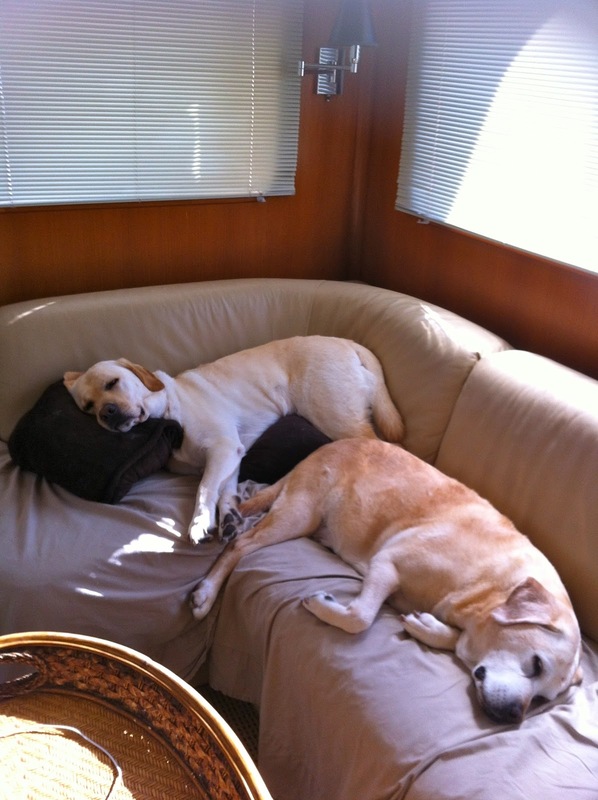 Dyna and Dylan were lucky to find a good spot on the settee in the salon. On the positive side, electronics guys were there, so that meant pats and excitement and the possibility of food. 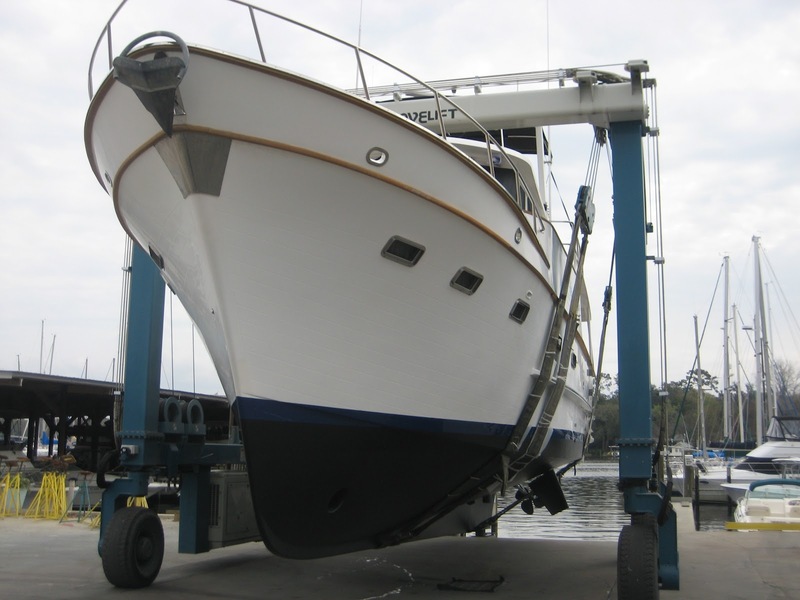 This week the boat was hauled at Sadler Point Marina to change some transducers, clean and paint the bottom, and other various projects. That meant a trip to the La Quinta Inn for the crew. Now this crew is no stranger to commercial sleeping establishments having spent many a night in a Red Roof Inn. 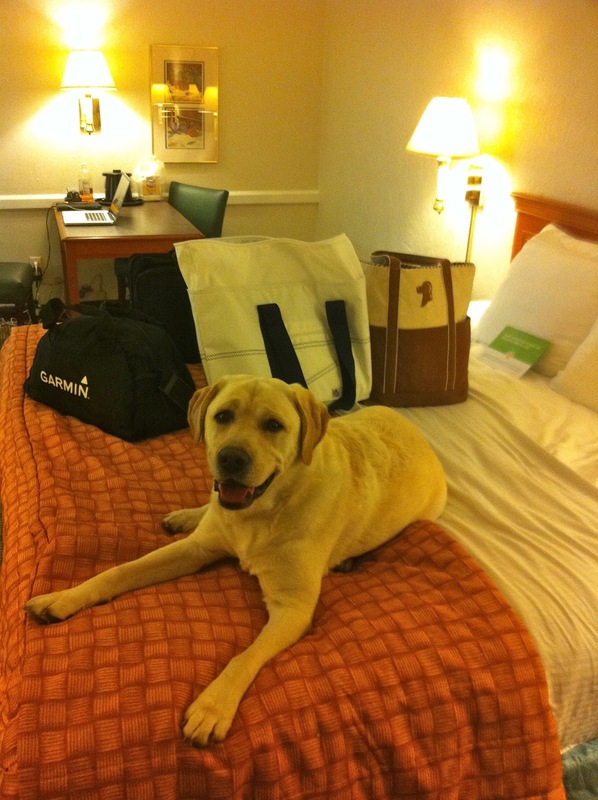 But the La Quinta is a step up and its pet policy allows two dogs in a room. 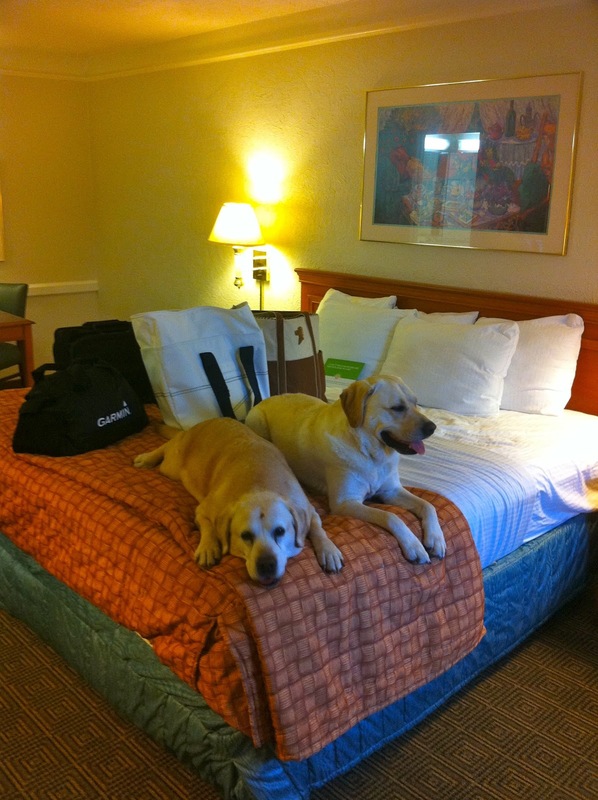 No sneaking in one dog at a time a la Red Roof Inn. But first we spent most of Monday hanging out in the car at the boatyard. The kids split their time between napping and staring out the window at their home up on stilts. Needless to say we all were a bit antsy by quitting time and anxious to get to the room. Of course, a new space is always interesting and they checked out every nook, cranny, and trashcan. Then someone came to the door with Chinese food. Dylan thought, "I'm gonna like this place." The best part - a kingsize bed, room for everyone to stretch out. Now it's evening of the second day. Dad spent most the day at the boatyard ensuring that this adventure doesn't last any longer than Friday. Sadler Point is promising a splash by 1 pm Friday. Dyna and Dylan spent much of the day in the room with Mom with a couple of walk breaks, excitement when Dad came back for lunch, and big time excitement when the nice lady came to clean the room. We're all getting a little bored and itching to get back on the boat. Only two more days. At least we hope so!